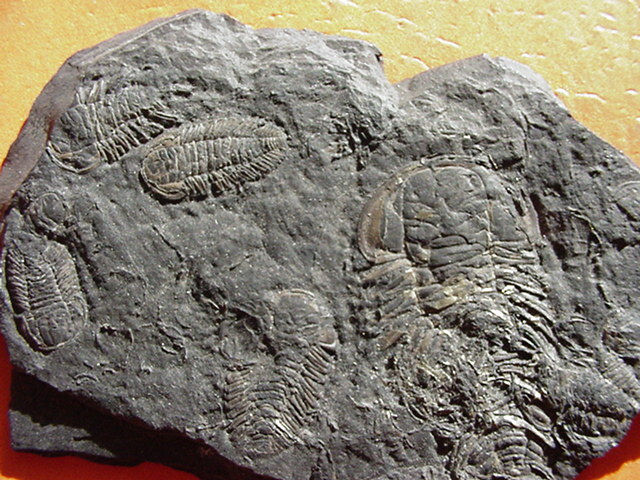 Description: This is an attractive plate featuring five specimens. 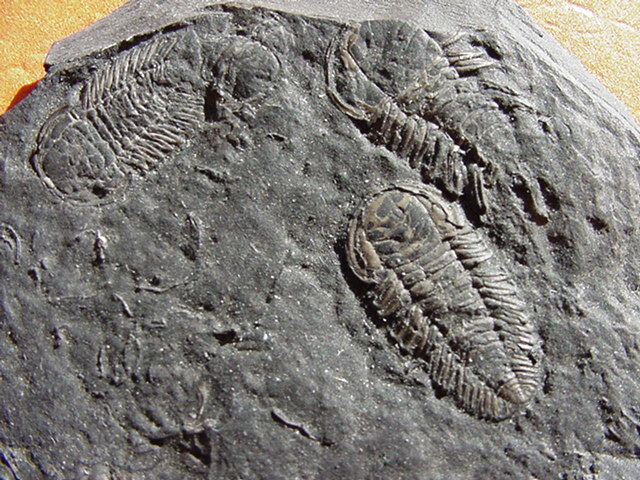 One is complete, three others are mostly complete, and there is the large disarticulated specimen. 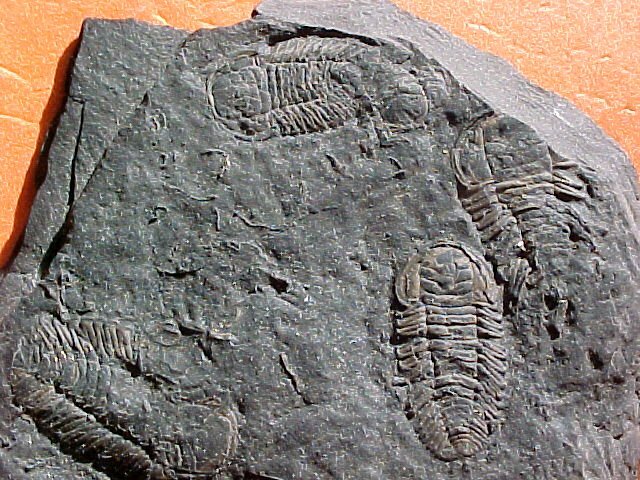 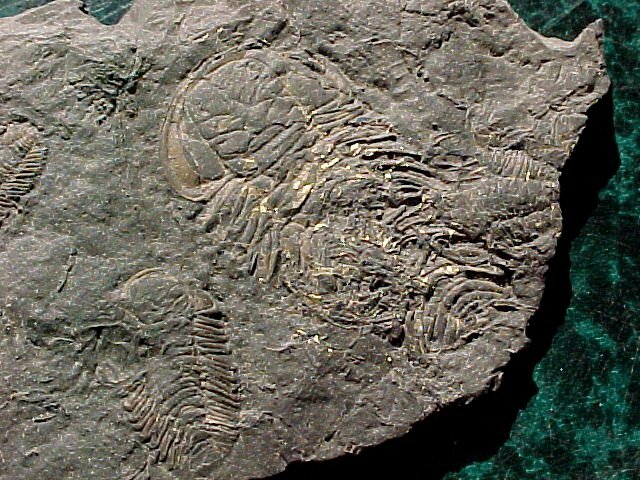 The trilobite genus Triarthrus is also found in New York State and Scandinavia and, importantly, is the last of the Olenid trilobites that were prevalent in the Cambrian. 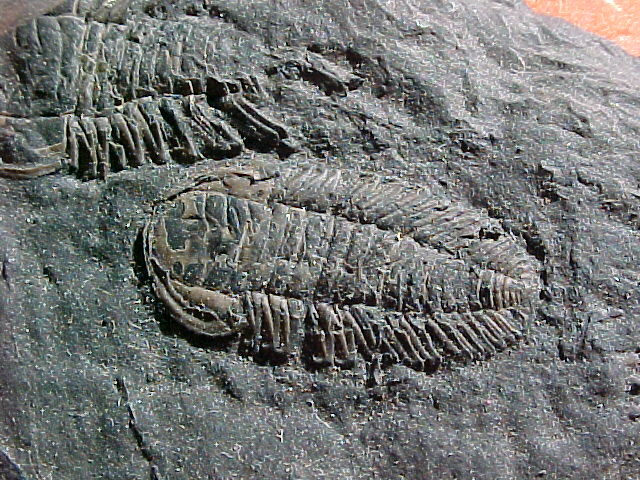 Some Triarthrus found in the Rome, New York area have exibited soft tissue preservation, with preservation iron pyrite, indicating an anoxic environment. 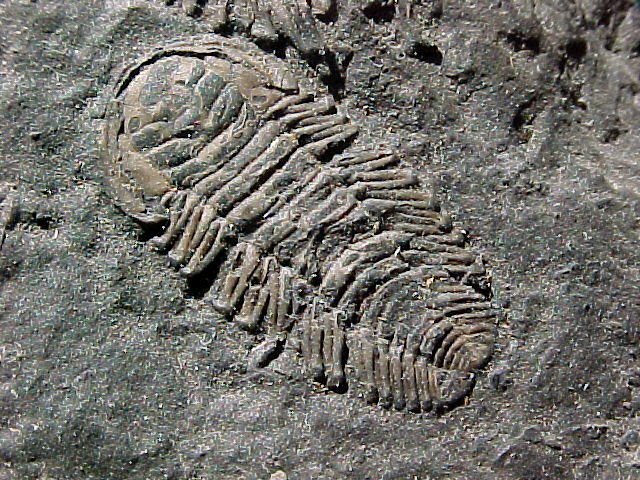 Such preservation is extremely rare in trilobites, and thus Triathus has has enabled the study trilobites anatomy.